The mainfrme adopts solid arm structure, able to be equiped with various types of clmap. The multi-rotation joint makes extensive scope of workpiece-clamping possible. It also equiped with brake device, which also can be locked up. It is widely used in occasions which require accurate positioning,flip,and complex site environment, etc. 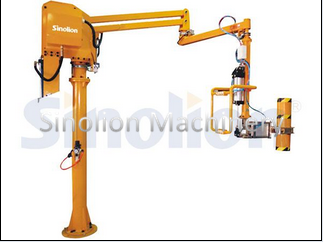 Looking for ideal Box Handling Manipulator Manufacturer & supplier ? We have a wide selection at great prices to help you get creative. All the Loading Manipulator for Lathe are quality guaranteed. We are China Origin Factory of Foundry Industry Manipulator. If you have any question, please feel free to contact us.